Everyone knows the basics of a good night’s sleep: try to get at least eight hours, no snacks before bed, no devices in the bedroom, etc. 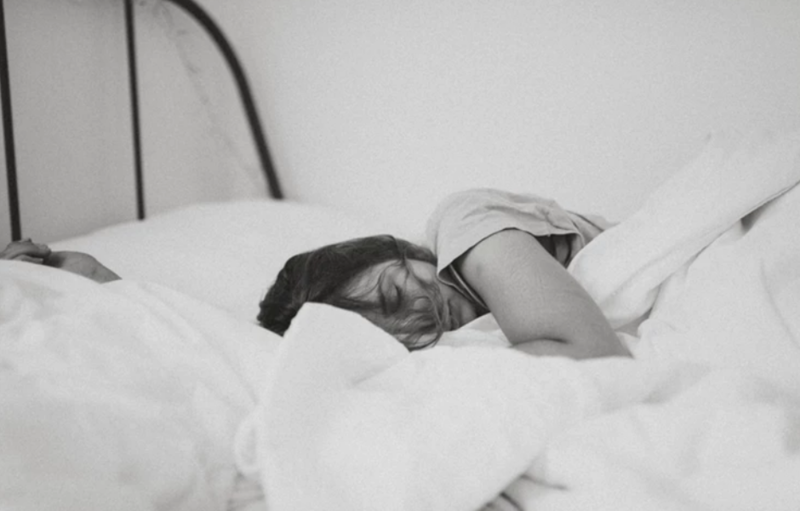 But in all her infinite wisdom, wellness goddess and Goop founder Gwyneth Paltrow has found a way to kick that process up a notch, through what she calls “clean sleeping.” But does clean sleeping actually work? In an article adapted from her new book Clean Beauty and published the Daily Mail, Paltrow explains that clean sleeping is the practice of prioritizing sleep above all else. She calls for getting at least eight hours of sleep each night (and ideally 10), and going to sleep every night by 10 p.m.; limiting caffeine intake “to support the gut and adrenals”; exercising regularly (ideally before noon) to “reset your body’s circadian rhythm”; and keeping your bedroom wholly separate from work. Paltrow also advocates investing in a copper pillowcase ($40 on Amazon) to fight off bacteria. Many of these practices are common sense sleep strategies, just taken to the extreme limit. But many people are wondering if there might be some science behind these claims, especially the ones that go above and beyond the typical sleep advice that we’re used to. Read through to learn about the tenets of clean sleeping, and whether sleep experts think that it works. In her original article, Paltrow sets out the fundamentals of clean sleeping. “Sleep plays such a powerful role in determining your appetite and energy levels that I believe it should be your first priority — even before you think about your diet,” she says. While sleep is hugely important for your day-to-day function, experts say don't stress out if you can't always make it a priority. “Society doesn’t allow you to have amazing sleep 100 percent of the time, and have other things you care about in life,” says Dr. Els van der Helm, sleep expert and founder of Shleep, a company that coaches people on how to sleep better for maximum productivity. “If you have 75 percent good nights per month, then I’m happy,” she says. Most experts agree that eight hours is an average of the amount of sleep most people need; the right amount of sleep for the majority of the population will fall in the seven to nine hour range. “There's a really small percentage of people that would actually need 10 hours” of sleep, Dr. van der Helm tells Bustle. “For the rest, it can just do damage.” That damage includes what Dr. van der Helm calls “fragmented sleep,” where you’re waking up a lot in the night because you simply don’t need that much rest, putting yourself in danger of developing insomnia. “The optimal amount of sleep is where you can sleep pretty well throughout the night without spending a lot of time awake in bed,” she says. As with the optimal amount of sleep, the best time to actually go to sleep is different for everyone. While experts agree that going to bed at the same time every night is best to maintain a normal sleep schedule (and can even have benefits for heart health, too), there’s no reason why that time must be 10 p.m. every night. An add-on to this rule (and why it's supposedly worth it to go to sleep at 10 p.m., even if it’s not your body’s natural cycle) is that “the sleep between 10 p.m. and 12 a.m. is some of the most restorative,” according to Paltrow. This pearl likely comes from the old wives’ tale that “sleep before midnight counts double,” but that myth has been roundly debunked. Your "most restorative" sleep happens during the first few hours of slumber, according to the Centre for Integrated Research and Understanding of Sleep, no matter what time you go to bed. This also qualifies as generally good advice, but the jury is out on the connection between gut and adrenal health and sleep. “There's a huge relationship between sleep and almost every process in your body,” says Dr. van der Helm, “but I don't think the full picture is clear in terms of the science.” If you need a rule to stick to, avoiding caffeine after 2 p.m., and limiting yourself to two cups per day will help you perpetuate your regular sleep schedule, according to the National Sleep Foundation.